Riding bikes gives us immense joy and bring back the childhood memories. 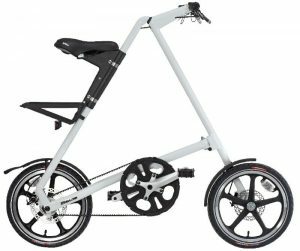 With growing technology and development, we have seen constant change in the design of these folding bicycles. Now there are many bikes with gears, disc brakes, and shock absorbers. The new segment in the bicycle is the foldable ones. 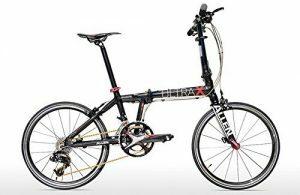 So, What is the best folding bike for tour? 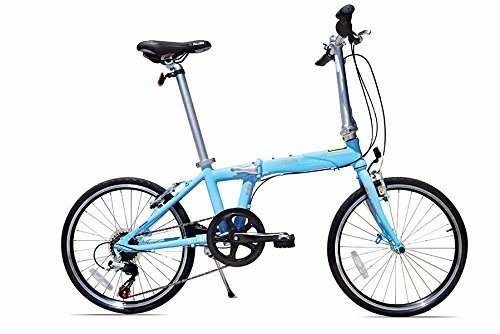 These are the best collapsible folding bikes on the market, that are of great help, and you can easily carry them along on your trips and picnics. They can easily be get attached to the rear end of the car, along a safari exploration. Wheel Size : 20" or 16"
This is lightweight bike, weighing 21.5 pounds, single speed, mainly for riding city roads on fun basis. Build quality of the bike is very good, having a solid frame that could bear some good tensile load.The single speed gear has no shifting problems, which cuts the maintenance cost. The bike is very durable, and you can expect it to be with you for coming years. The portable bike is recommend for kids and boys, because it is going to hard for adults to ride this thing and enjoy. Overall, it is a good folding bike having capability to last years. The frame of the bike is A-Type, which won’t be familiar with you, but it is solid and made of 6000 aluminium, industrial grade, making it solid and light. It weighs around 22 lbs and fold in the dimension of 45″ x 20″ x 9, colours that are available in the market are Turquoise, Black, Red and White. The special belt that is integrated can last up to 50000 mile without oil and grease. The riding position is comfortable and wheels are low. When you ride this thing, it would take some time to adjust, but eventually you’re going to love it. The fold up bike is moderate heavy, not suitable for daily commute, but you can carry this up if you want to. 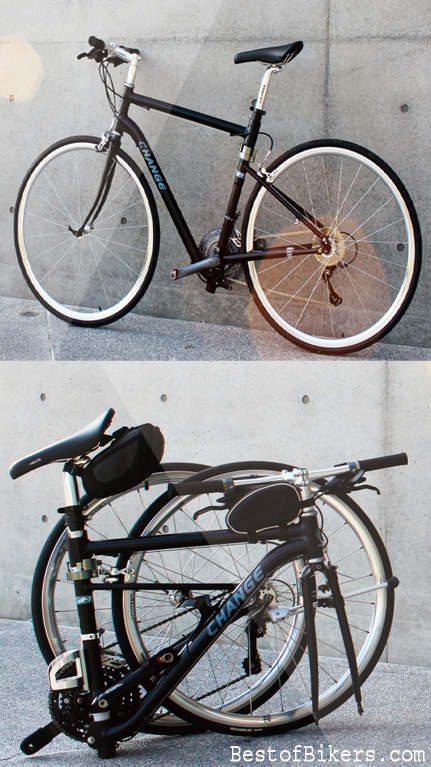 The weight of the bike is 25.6 and foldable size is 33.5 inch x 13.8 inch x 27.6 inch. The integrated 7 speed gears make it easy to ride on city roads and take some trips uphill. Winzip brakes are good and working efficiently. This foldable bicycle could be a great companion for evening rides. The bike frame is solid, and made of industrial grade aluminium. The folded size is compact, comparable to other in the same segment. This bike is pretty heavy, comparing to the bikes available in the same section. The reason for weighing 32 lbs is that the frame is made of high tensile steel having b type latch. 6 gears are present to ensure smooth riding experience.They’re going to get you running on a flat road or mountain. Folded dimensions of the bike is 33″ x 25″ x 14″. Mud guards are included, but you have an option to choose rack or not. Colors available in the market are black, white red and blue. This is a decent commuter bike, not meant for serious work. Commuting is not desirable due to heavy weight, but you can adjust. This folding bicycle is for those who takes their riding experience seriously, and want to devote that time to ultralight performance biased bike. Carbon fibre high density, lightweight frame can hold up any load, and only weighs 18.5 pounds. This bike comes in lighter segment, due to light structure of fibre. Foldable size of the bike is 33.5 inch x 13.8 inch x 27.6 inch. 20 speed gears combination by Sram X9 10 Speed is present to give smooth experience. Available colour in the market is only carbon. 20 inch tires are present, to make it for adults as well as boys. They function like normal bikes, but the one feature that stands out apart in them is the foldable support structure. The beams can easily be bend, and folded into half, to save space. They also save the energy that you put in carry them, as now you can easily attach them to your car’s rear end. These folding bikes are made of light alloys, usually of aluminum and steel, to provide stability and strength. You can choose from wide range of best folding bikes if you want to buy one. They come in every shape and size. You can but one for the kids, as well as boys to adults. Most of the folding bikes are simple in specifications, but you can also choose from mountain to racing. Most of the regular customers buy them for their kids, as it is easy to fold them and get them in the car. 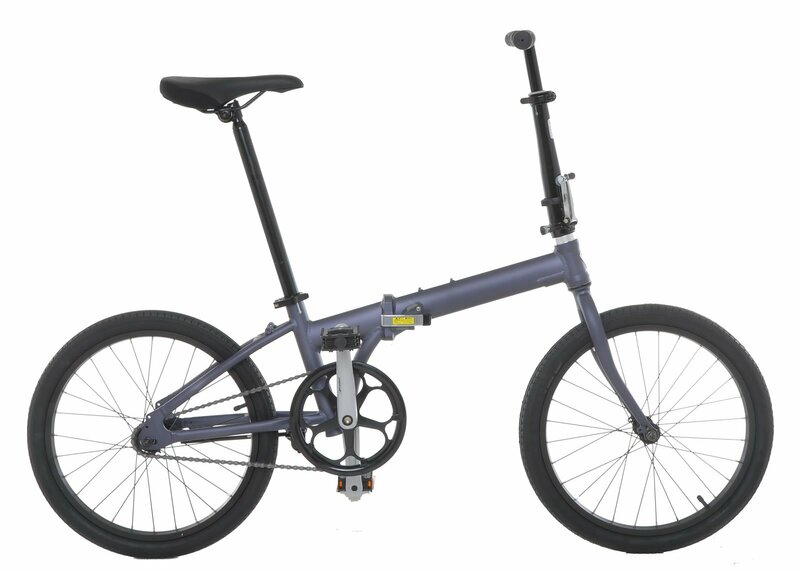 The mountain type folding bikes are more complex, they have disc brakes, gears, shockers, and a solid metal frame. But, they can be folded easily and you can carry them along. They are also the expensive ones, due to better build and durability. The folds depend upon the bike frame, some bikes can bend into really small piece, and some only into halves. Well that’s obvious that the one having one fold is going to take more space, but it’s also convenient to unfold them and ride. They’re tailor made to become compact as possible, according to their design. Latest patented designs are in the market that make folding them easily and fast. If you’re not a regular user, you can always fold the bike, and make it sit in your store area, consuming less space. Even if you’re daily commuter, folding bikes help you to get into public transport easily. You can unfold and ride to work again. Parking is also easy, just fold it, lock it, and you’re good to go. They’re becoming popular these days like the Beach Cruiser Bikes, and people are not even buying the normal ones. They now prefer folding ones due to the reason that they’re in trend, and have lots of benefits over them. Folding bikes strength is their frame. The foldable frame is designed so well, to keep up with the folding capability and to bear the weight you put on it. So they’re designed way better than you see in the normal bikes. Hence, they’re stronger and durable. Also, they’re made from industrial grade steel, aluminum or carbon fiber, depending upon the bike, making them good at tensile load. They have very low maintenance, due to the fact that they’re already so well built, that the only thing you require is to oil parts and nothing else. The frame, gears, brakes, saddle chain and tires, every part is built keeping quality in mind. Due to their foldable reduced size, they consume less space than normal bikes. You can always unpack and ride them whenever you want to. This has changed the way people see bicycle as a waste of space. Storing and parking them has become easy now. These bikes have more specifications than normal bikes, like different shocker systems, patented brakes or gear shifters. They’re packed with more performance parameters. It is suggested to buy these bikes as first one, because they have it all, and you won’t have to change after sometime. The capacity to fold, makes it easy to carry them around, hence, a good choice for people who go to work by public transport. Now, they can reach the station fast, and just fold the bike can travel. Travelling has become easy with these bikes. You can see many people doing that. You can pack them in your car, and go for a family picnic, and ride them enjoying the time. This open gates to hundreds of opportunities of them carrying along with you. Folding bikes have better performance than normal ones, due to the fact that they’re light, have better shifting and gear mechanism. They accelerate pretty fast and stop without any delay. Thanks to their excellent gears and brake systems. These folding bikes are small in size, folds into really small piece, and can be easily adjust in the car. The size of the tires are usually between 18 to 22 inches. They contain shockers and gears, depending upon the budget. Kids usually don’t need that kind specifications, so they’re mostly normal ones. These bikes are helpful for kids, you can make them carry with you on family outings, for enjoying the ride. These bikes are durable and strong. Kids are preferring these bikes due to their modernistic design. For smaller kids you can also consider buying the best bike trailers which is convenient accessory to have with you. They’re purely made for performance. They’re made from tough aluminum that can withhold good tensile strength. Expensive ones are made from carbon fiber, which is stronger than lighter than aluminum. These bike are designed for mountaineers and adventurers, who ride through tough mountains and trails. These fold up bikes have best combination of gears. Their shifters are sensitive and of best quality. The tires are grippy and wide. You can fold them up, and hang on the backside of the car, to go to the off-roading experience. They have better durability and strength. They’re of course expensive, but worth every penny. These folding bikes are for adults, having wheel size of 22-24 inches, but only for light use on city roads. They’re mostly of picnic and outing kind of bikes. They’re basically bigger version of the bikes available for kids. You can carry them along with you in our car. They’re not mad for commuting, but could be used. As stated earlier, they’re for light use only. These are modernistic light frame bicycles, purely made for the purpose of commuting. They have comparatively thin tires, more combination of gears and better folding capabilities. They are extremely lightweight, made of aluminum or carbon fiber when you for the expensive one. You can run them to nearest subway, fold them, and easily carry them along to your work. Parking is easy, just fold and lock. These type of bikes are great at performance on city roads. They accelerate fast and brakes are good enough to make it to city roads. These bikes, performance wise are better than the normal folding bikes. You can easily adjust them into your car. They’re adult bikes, normally havingwheel size of 22-26 inch. Your collapsible bike should have features that you’re going to use in everyday life, along with durability. If you’re planning to buy a foldable bike, there are many parameters that you should care. These parameters will decide the comfort, budget and type. Market is full of fold up bike, that it is really hard to decide for which one to go. You have to considerate each and every influencing factor, let’s have a look on them. 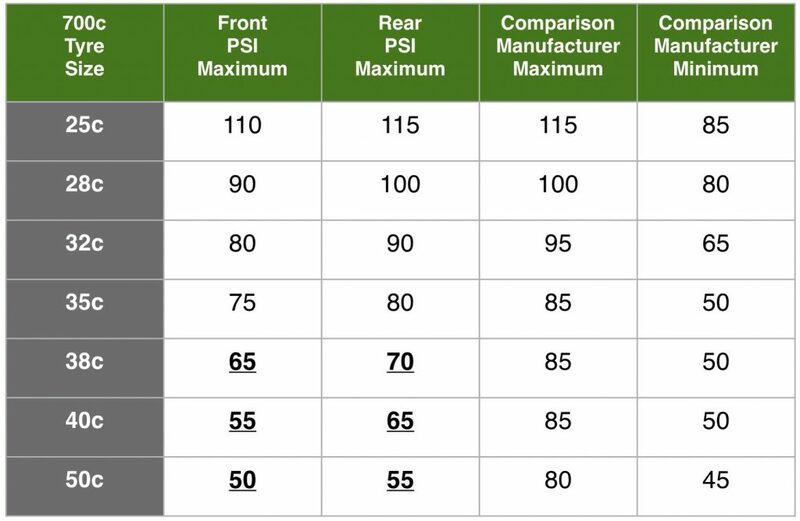 Wheel size matters, because it is directly proportional to the height and segment of the cycle. Low wheel size means the cycle is for kids, high wheel size means the cycle is for adults, and in between for boys. Normally, for adults, 26 inch wheel size is preferable. But you can always go down or up, according to the height. For kids of 2-4 years, it usually 14-17 inches, and goes up to 24 inch for 8-9 years of age. Mid aged kids can buy a wheel size of 18-22 inch. Now the range is given because different kids have different height, so it is preferable to bring your kids with you, while choosing a right kids foldable bike. After deciding the type of user, you should consider some brands that gives you desired specs and durability. 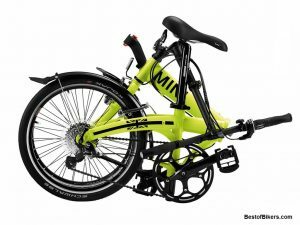 There are many folding bikes brand like mini, vilano, allen sports and many more. We are never going to get out of brands, so we have to sort out the brand that has better value, warranty period, and reputation. The brand decides the quality of material used, strength of the frame, and durability. I would suggest to go for the brands that you have heard, and used. You can read folding bike reviews online, or on amazon for better idea. If you’re planning to buy a kids folding bike, then having a suspension is not a good idea, however, if you want to take extra care, go for it. Suspension is usually for adventurous and racing type bikes, so that’s purely your decision to have one or not. There are three types mainly, piston type, spring type and combination of both. The lateral one is meant for high end bikes, but you can use the other two for day to day purposes. The piston type, however, is expensive, due to compressible fluid in it. Spring type is always easy to manage, and cheap. If a bike have low maintenance cost, even after a good amount of usage, then you will know that you have brought true value to your money. 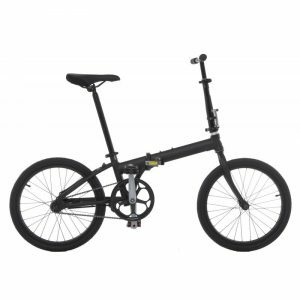 If the folding bike is durable, it will last, without giving you any more expenses. Of course occasional expenses like greasing and brake shoes are must. But beyond that, there will be no other, if you have bought a good bike. Folding Mountain bikes usually require good amount of maintenance, because they do heavy works, but kids bicycle usually don’t buy that one, which has less requirement. Budget will always be the governing factor for the purchase. If you have found a bicycle that has all your specs, then look for similar bicycles, with other brands. Compare the cost, according to brand value. Basically, all the other parameters will depend upon this single parameter. If you want good specs, your budget will increase, and vice versa. Choose the one that best suits your budget, along with the specs. Kids folding bike are cheap, mountain bikes are expensive, and racing ones are more. Now there is a difference between the requirement of a mountaineer and a high school kid. 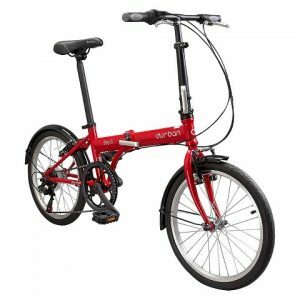 The type of the folding bike you’re going to buy, purely depends upon the requirements of the owner. A kid doesn’t need a folding bicycle with shockers, gears, and wide tires. Similarly, you can’t hand a mountaineer a low specs bicycle, which doesn’t even relate to mountains. You have to recognize your purpose, if you want some durability, go for the simple one, for daily use purpose. If you’re looking for some adventures, then go for mountain folding bikes, if it is simply for kids, you can go for starter bikes. Frame is the most of the important part of the best folding bikes. It supports all the units and weight of the user. Folding Mountain bikes usually have aluminum frame, which is lighter, and you can lift it up easily. For day to day life, iron frame is more preferable, because it is durable. The iron used is galvanized iron, to make it rust free. However, now a days, mixture of metals are used to give steel a strength, and use it as a frame material. Titanium is also used, but it is expensive, and only for high end racing bicycles. Carbon fiber has replaced aluminum in racing bikes, due to elastic and strength properties. Brakes help to stop a bike, and they’re important for safe riding. There are commonly three types of brakes, the conventional shoe type, power brakes, and disc brakes. The shoe type brake is least effective, and you have to apply from quite a distance, there is also some maintenance due to shoe damage. Power brakes are better, but use shoes, their distance for stopping is less. The disc types are best and preferable, obviously cost you more, but worth spending. Their maintenance is low, and are very effective. Disc diameter is an important parameter for governing the effectiveness. Gears are helpful for variable speeds, and they also make the riding smooth. You have to choose the combination according to your needs. There are 3×5, 3×7, 3×8, 1×5, 1×7 combinations and many more. You can also opt for singe gear bicycle, but if you’re planning to give yourself or your kid a good foldable bike, go with the gears. Best folding bike with gears increase the maintenance of the bike, now you have to oil and grease them. Also, their wires can be a problem, so, I would say, if you think that you need them, then go for it, because having them, without any use will just cost your maintenance. If you’re really planning to have a good bike, then go for foldable ones. The simple ones are equally good, but then you don’t have the privilege to fold it, and carry them along with you. They’re usually light, so, lifting them, along the mountains is not that difficult. In a way, foldable bikes are always ahead of simple ones. Market is full of them, judge them according to the parameters I mentioned above and buy yourself a decent folding bike.